Kathmandu University (KU) is all set to conduct its 19th convocation ceremony today. 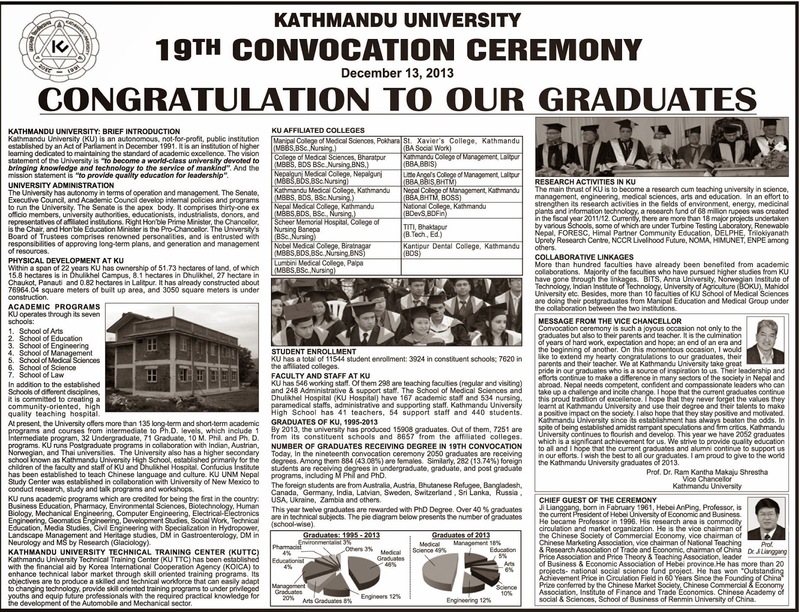 Today,in the nineteenth convocation ceremony 2050 graduates are receiving degrees.Among them 884 (43.08%) are females.Similarly, 282 (13.74%) foreign students are receiving degress in undergraduate, graduate, and post graduate programs, including M Phil and PhD. The foreign students are from Australia, Austria, Bhutanese Refugee, Bangladesh, Canada, Germany, india, Latvian, Sweden, Switzerland, Sri lanka, Russia, USA, Ukraine, Zambia and others. 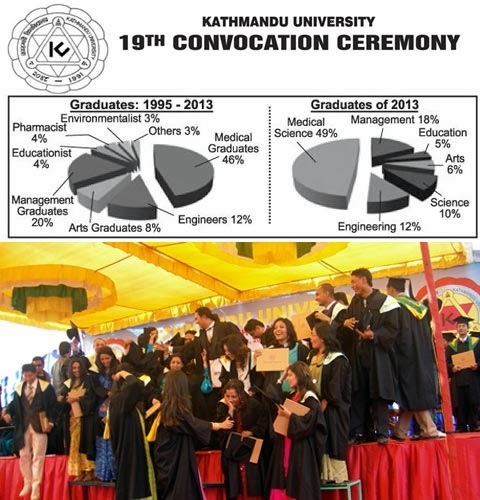 This year twelve graduates are rewarded with PhD Degree.Over 40% graduates are in technical subjects.